Have you ever wanted to conduct an interview of a fellow (or a pro) blogger in your niche and was wondering for some crispy tips? So here are few of my personnel experience + some common sense tips to conduct a great and successful interview of the blogger. This tips can totally be applied to any general interview that you ever wish to conduct. 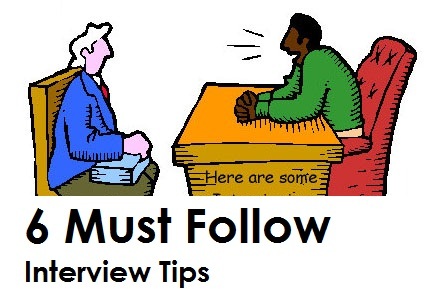 Interviews bring in a decent amount of traffic if it is well conducted. Normally when we conduct an interview of popular personalities, its likely that they would share your interview post with their social media fans. Many of us still cant imagine that boost such high profile interviews can bring to a blog traffic. Not only that, the follower ship that comes with the traffic is mouth watering. That being said, lets take a look at few of the tips and prerequisites of conducting a great interview of a blogger. There are few things that are really important to take care of before you set of to conduct an interview of a popular blogging personalty. Though this is a bit out of topic, but as per my little experience, i really believe that preparing your blog before you publish an interview is most important. In case you're not well prepared for publishing an interview, i believe there is no use of doing so as you would not be able to get full juice of the benefits that interview could provide. I would never go for an interview of a popular blogging personality before i believe that my blog is at a stage to present a popular personality its self. If a TV channel with no name in the surroundings gets off one day to conduct an interview of Arnold, or Muhammad Ali, i believe its not quite appropriate. Also if your blog isn't well equipped popularity wise (fan base + traffic + professional outlook) there are chances that your interview request gets put down or receives a cold shoulder. Before going on for an interview, we must need to make sure that we know the person pretty well. Take your time and get to know the personality well. His background, his achievements, his future prospects etc. The best strategy to make the interview go with a flow is to think of yourself as a true fan of the personality that you're going to interview. This would make questions come up naturally to your mind that you wish to ask from the person. Sketch up what you wish to learn from the blogger. While jotting down questions for interview, make sure you present them in an open ended way. Any questions depending on This or That? Yes or No style would conclude in a short and boring interview for sure. No one likes to redo all those predefined questions and a celebrity (pro blogger) may have already heard them thousand times that he/she might get sick of it. So when those would come up from a true fan soul, they wont feel boring and would be open ended too. Because as fan, you wish to learn more and more from a person, and you would never ask binary style questions. Say you have noted down 20 questions for your interview. Now while sending the final draft (via email etc) to the blogger so that he/she could answer them back, you would always want to make sure that the questions are coming up in flow. And not like asking first question regarding personnel life than jumping on to the number of traffic the person gets. That would be so weird and would break the natural flow of the interview. Combining similar questions under categories is also a wise approach. Say you present few questions under 'Personnel life' category followed by Professional Career part. This would look smooth. #5 How Many Questions For Any Interview? Anything between 15-20 would do the job. Exceeding this limit would make the interview feel like burden to the blogger whom you wish to interview and might get rejected. Who knows! Once putting down all the questions, make sure you greet the guy well with some sugar laid words. After all that personality would deserve appreciation. Tell him that it was an honor for you to conduct the interview and your readers would love it. So these were some of the points that i thought worked great for me and would surly bring fine results for you too. Peace guys! BloggingeHow | Making Blogging Simpler: 6 Crucial Tips To Conduct An Interview Of A Blogger?